Having sufficient and convenient storage space should be a feature of every well-designed kitchen. Unfortunately, poor storage is still a common concern for many homeowners. Clever storage systems not only help to keep your kitchen neat and tidy; it also makes it so much easier to use the room to its full potential. 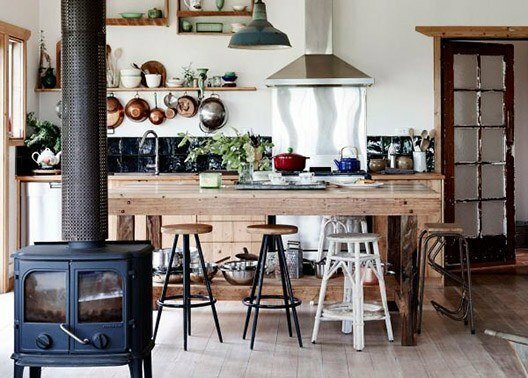 Here are our best tips to maximise your kitchen storage. Poorly designed cupboards can waste a huge amount of space, often above the cupboards themselves. Raising cupboards to ceiling height or using the space above the cupboards as display space will greatly increase storage capacity. Be sure to pack items that are less frequently used at the top. It’s also a good idea to pack light, but bulky items at the top, with heavier items lower down.Apart from the functional benefits, taller cupboards will also give the illusion that the room is bigger by drawing the eye up. Make sure that you have a folding step ladder handy to reach those high items, or install a sliding ladder as an added functional design feature. Having an island is not only an excellent way to create a focal point for interaction in the kitchen: it also frees up counter space and allows for additional cupboards or drawers to be placed in the centre of the kitchen. Island storage is often good for dining items such as tablecloths, placemats and special crockery. You can also use your kitchen island to house utilities like a sink or the oven and hob. If your cupboards are filled to the brim, you can use kitchenware as decor. Add open shelving to any vacant wall space and use it to display pretty crockery. Place everyday items lower down and items that are used less often on higher shelves. This is a great way to save storage space and add some personality to your kitchen. Even when well designed, most kitchens end up with an awkward space that is difficult to use, especially in corners and next to large appliances.Fill these spaces with a shallow cupboard or drawers to minimise the amount of wasted space. Including shallow drawers within a cupboard is also a good idea for storing smaller items, like spices or cutlery.This minimises the need for items to be stacked on top of each other, making them easier to find. A tall narrow cupboard next to a fridge or in the laundry works well for storing cleaning gear, like a broom and mop. Whether there is enough storage space or not, staying organised will make the best use of the space available. Make sure that each item has a dedicated space and be sure to return it to its space after use. Using small containers within drawers or cupboards also allows for better organisation. Square or rectangular containers that are stackable will allow you to make the most of your pantry cupboard. Label them to make it even easier to find things. You can further maximise storage in your kitchen by doing meal planning and shopping in advance, minimising excess groceries that need to be stored. There are countless storage solutions available that can turn your existing kitchen into a dream kitchen. Whether you’re looking at redesigning your whole kitchen or just improving your storage capacity, our friendly consultants would love to help you in finding the solutions that are best for you. For assistance, contact one of our welcoming consultants who will be happy to guide you in designing the right kitchen for your needs.